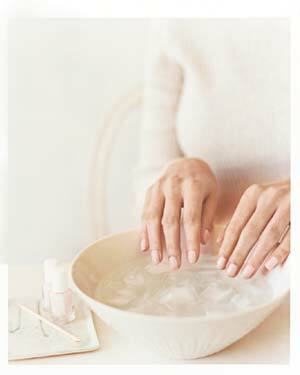 So you don’t have the necessary amount of time to dry your nails…well that’s ok, try this. Dip your fingers into and ice cold bowl of water. Your nails will dry VERY quickly. Make sure you don’t hit your nails on the side of the bowl!